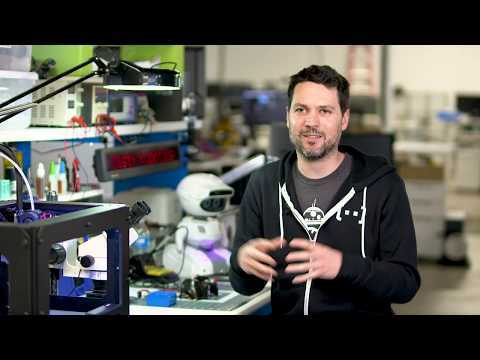 BEDFORD, Mass., April 3, 2019 /PRNewswire/ -- The 10th annual National Robotics Week kicks off April 6, with more than 300 STEM-related events taking place across the country throughout the week. 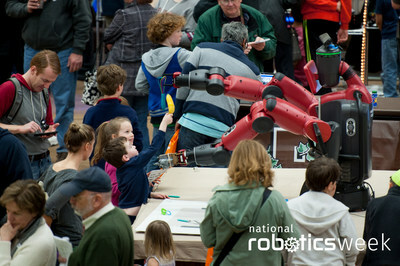 Established by Congress in 2010, National Robotics Week serves as a unique platform to engage students and local communities in robotics-based activities. To commemorate the 10th anniversary of National Robotics Week, a group of leading roboticists and artificial intelligence (AI) experts reflect on a range of topics and offer insight into how robots will evolve in 10 years. To commemorate the 10th anniversary, National Robotics Week asked a group of leading roboticists and artificial intelligence (AI) experts to reflect on a range of topics, including why it's important to expose students to STEM concepts (Science, Technology, Engineering and Math) and how parents, educators and business leaders can help foster students' interest in robotics. The experts also offer insight into how robots will evolve in 10 years and what initially sparked their interest in robotics. Watch the video to learn which roboticist was given a book entitled "Computers and Giant Brains" at the age of eight, sparking a career in pioneering robot technologies. Or learn who found their passion for robots by reading The Bionic Woman, and who still keeps the robot they built at age 10 on their desk. "Engaging students in robotics and other STEM fields will prepare them for jobs and an economy that we cannot even imagine yet," said Congressman Joe Kennedy III. "Throughout the 10th Annual National Robotics Week, students and educators around the country will be able to pursue their passion and engage with companies and organizations pushing the boundaries of science and technology."